We had an amazing time at Apple City Roller Derby’s 6 team tourney last Saturday! 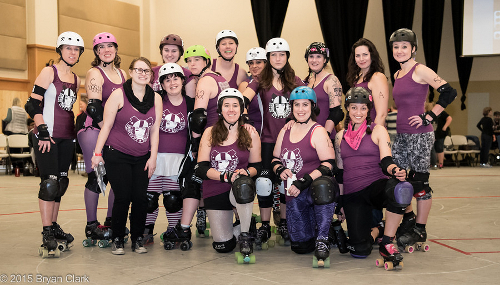 We got to see so many veteran skaters we have known for years and a lot of new skaters playing in their first bout! Thank you for being such great hosts ACRD! Thanks to the Wine Country Crushers’ ladies that joined us and fought so hard! We appreciate all the fans & volunteers that made the event so fun and run so smoothly! Maybe YOU want to get in on the fun that is women’s flat track roller derby?! We are always looking for more people to join our league. Get some more information here -> Join Us!